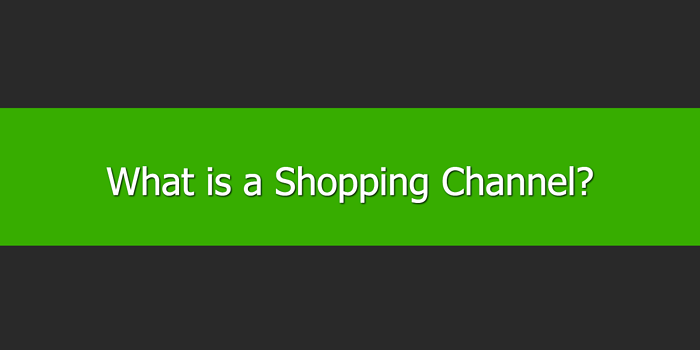 What is a Shopping Channel? A shopping channel is a third-party website you can list your products on. This helps extend your reach to new audiences and it helps you get more sales. There are multiple shopping channels to choose from. This includes some of the internet's biggest websites, as well as smaller, niche offerings. Traditionally, there were two main types of shopping channel - comparison shopping engines and marketplaces. A third is now available, and is becoming increasingly important for many retailers, social media networks. Social media networks have some features in common with comparison shopping engines and marketplaces, in addition to other unique features. Comparison shopping engines are also known as shopping comparison websites. They offer consumers the opportunity to quickly and conveniently compare multiple retailers who offer the product they want to buy. One of the most well-known examples is Google Shopping. While it is a comparison shopping engine, it offers something unique that most other websites can’t offer: Google Shopping is closely integrated with its search platform. In other words, when a user does a search on Google’s main search page for a product, Google will return Google Shopping results, as well as standard search results. While Google Shopping does offer unique features, it is not the only comparison shopping engine available. Other examples include PriceGrabber, Shopping.com, and Shopzilla. The best-known examples of marketplaces are Amazon and eBay. They offer online retailers similar benefits as comparison shopping engines, in particular giving you access to a larger audience. The main difference is the customer buys from you through the marketplace. When a customer decides to buy from you when using a comparison shopping engine, they will click through to your website to complete the sale. On a marketplace, however, the marketplace processes the transaction. Marketplaces like Amazon and eBay are among the biggest websites on the internet. So, they offer significant opportunities to online retailers. That said, there are also niche marketplaces which let you focus your marketing efforts on a more targeted group of customers. Facebook Product Ads lets you advertise your products to Facebook users. There are options to define a target audience or you can target people who have visited your website in the past. Other social media platforms, including Instagram, are also moving into the shopping channel space to offer advertising options to online retailers. Simply listing your products on a shopping channel is not enough. You must also ensure the listing is optimized by using the correct product identifier. You need to use the right keywords and have a good product description that encourages the user to choose you. You must factor in shipping to your overall product offering, because you can be sure your customers will. This means considering costs, the options available, and how long it takes for the product to arrive. It is also important to get your bidding strategy right for comparison shopping engines and social media networks, and your pricing strategy right for marketplaces. This involves walking the fine line between maximizing the number of sales while ensuring those sales are profitable. You should diversify your efforts so you are not reliant on a single channel. This means adopting a multi-channel approach and using other eCommerce strategies for finding customers and generating sales. Listing your products on multiple relevant shopping channels is the best way to maximize the benefits they offer. However, this is a difficult process if you manage each channel separately. This is because there are differences in how they all operate. For example, differences in the feed specification they require. Using a service, like DataFeedWatch, to manage your product listings and then quickly generate channel-optimized feeds is the solution. Whatever strategy you choose, shopping channels extend your reach in a targeted way to find new customers and increase your sales.